Seattle Mayor Ed Murray and his circle of density advocates need to dial down their race rhetoric if they want to have a productive conversation about Seattle’s housing needs. IF Seattle Mayor Ed Murray and his coterie of density advocates want to have a productive conversation about housing in the city, they need to stop using incendiary race rhetoric to press their case. Describing the status quo as “economic apartheid,” as Murray has done, is divisive and offensive. If there is apartheid in Seattle, that would be an indictment of city leadership and its civil-rights department. Yes, loathsome things have been done over the years to restrict where certain people could rent or buy homes. Despite the passage of the Fair Housing Act in 1968 and a series of related laws since, diligence and continued oversight are still needed to prevent discrimination that still exists. Then there is the broader challenge of income disparity that limits upward mobility and housing accessibility. Those are important but separate issues. Using them to tug heartstrings and sell sympathetic Seattleites on drastic zoning changes sought by developers is disingenuous and patronizing. Seattle’s single-family zoning is not rooted in racism, as a Crosscut.com story on Monday deftly explained. It’s not derived from exclusionary covenants used in the previous century that are now illegal. Even the Seattle Civil Rights and Labor History Project at the University of Washington — the citation given by Murray’s panel on the racism allegation — has weighed in and denied that this zoning is racist. It noted the role of homeownership in desegregation efforts and building Seattle’s black community in the Central District. “Essentializing all single family zoning as inherently racist is unhelpful for understanding the role of racism in housing markets, past or present,” the group said in a statement. Murray’s housing proposal highlights an outdated federal chart showing that minorities, particularly blacks, are disproportionately affected by housing costs. This is a concern, but it’s apples to oranges — it affirms only that housing is an economic issue for many. It also shows that City Hall decisions to float multiple levies and boost utility rates — factors the federal government uses to calculate Seattle housing costs — have an adverse effect. 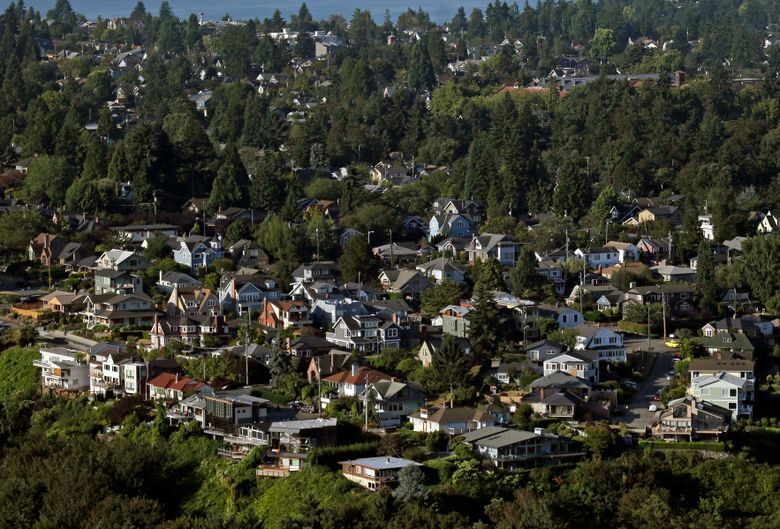 Seattle’s single-family zones — along with setbacks, parking requirements and other regulations now on the chopping block — were designed to create livable neighborhoods for everyone, particularly the middle class. Providing broader access to such neighborhoods is a noble goal. But there should be a healthy conversation about whether this would be accomplished with rezoning. Or would rezoning lead to more displacement and gentrification because homebuyers would have to bid against investors and developers for every lot? Another topic to explore is whether rezoning would undermine efforts to boost development activity in lower-income urban areas largely bypassed by the building boom. That seems likely if rezoning allows even more density in prosperous neighborhoods, such as Ballard and Capitol Hill. But Seattle will have trouble exploring such nuances — much less the full slate of affordability proposals — if the discussion is disrupted by volatile insinuations of racism and discrimination. It also doesn’t build trust and faith to have these Molotov cocktails thrown by the city officials responsible for enforcing anti-discrimination policies. Bruce Harrell, the lone black City Council member and a lawyer, said there is still blatant discrimination in Seattle, but not with respect to housing policy. Racial covenants are a thing of the past, and what’s putting minorities at a disadvantage now is economics, he said.